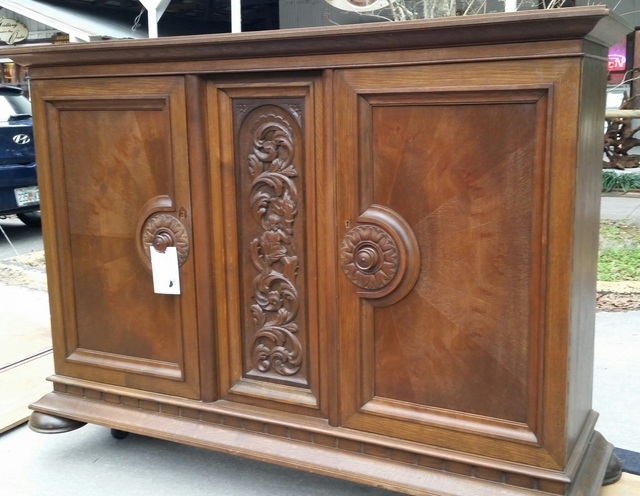 Ornately carved Renaissance buffet side cabinet with great Storage. 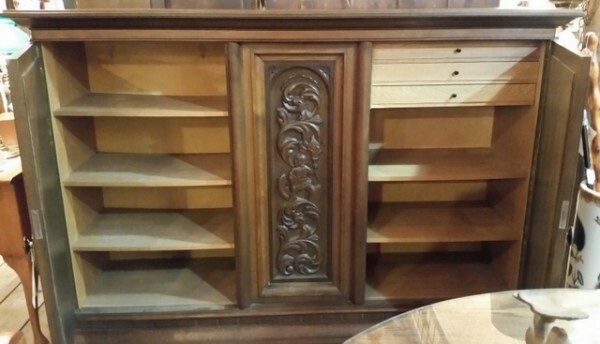 Drawers and shelves inside with 2 locking doors. Has working locks and original key. Imported from Denmark. Previous Post19th century Benjamin Talbot Babbitt original advertising soap box. Where the phrase “Get off your Soap Box” originated. Next PostWe have multiple large immigrants chests like this one circa 1824, and architectural pieces imported from Turkey.